This is where things get very difficult, I’ve been making changes to the top 10 even after putting up my 20-11 article. What I can say, is that these 10 songs are up there with the best Pop songs of the last decade. The only cover to make it onto my top 20, I never think of My Prerogative as anything but a Britney song. 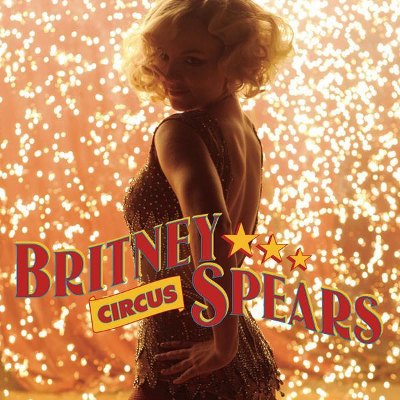 The production, courtesy of Bloodshy & Avant yet again is nothing less than perfect, with synth and tribal drums echoing around Britney’s crazy vocal. It couldn’t have come out at a more perfect time, or have been a more appropriate Greatest Hits single, and it will always be a favourite of mine. I remember my reaction when i first heard Womanizer. I thought it sounded like a castoff of previous album Blackout and would never be a hit. How wrong I was. The song was definitely a grower, as I began to love everything about Womanizer, a song designed to be danced to. The original version is great, but maybe the fact that I have an equal amount of listens to the X Factor performance version shows how good the ‘Live’ version is. A modern Britney classic. As the opening to track to her eponymous third album, I’m A Slave 4 U showed that Britney had moved on from her high school sweetheart era for good, and judging by the video for the song, she was talking about a very particular type of Slave. It’s her sexiest song ever, and is the sort of tune where you can hear the sweat dripping as Britney does her staple ‘heavy breathing’. The only song in the top 10 to come from either of Britney’s first two albums, this would be number 1 if it was a list of the song that made me most happy when I hear it. Born To Make You Happy is just an incredible pop song, it has that distinctive 90s mid-tempo but still danceable quality to it, and was the best thing she had done until the next song in this list. BTMYH will always make me smile, a song that lives up to the name. It’s evident in this list that there are certain Britney songs that may not be considered classics by most, but I think of them highly. Overprotected is everything I would want in a Britney track, blistering production with plenty of moments to really let loose in the dance moves you’re obviously already doing. It’s another self referential track, which works so well with Britney’s voice, the ‘Action!’ moments helping to make Overprotected one of my personal fave tracks from her career. The fact that Circus has appeared directly after Overprotected is a telling sign. Both were the second singles from their respective albums, each far surpassing the original track in one respect alone, for being as ‘Britney’ as possible. Whereas Womanizer could have been sung by someone else, the heavy breathing, dance break and screeching production on Circus makes sure you know who is the true ‘ringleader’ in pop. I must say that the next 4 songs would probably place in my top 20 of the 21st century, all of them being incredible songs in their own right. Piece of Me is the definitive self referential Britney track. By confidently talking about her troubles over the past year, in one song Britney made us all forget about the VMAs incident and get on with the fact that she was producing the best Pop music the world had ever seen. The fact that it’s written by Klas Ahlund and featuring backing vocals from none other than Robyn (ie The Swedish Britney) makes it her best song lyrically. Including Boys, Britney has only ever released a single featuring another artist twice. The fact that Madonna chose Britney to be the first artist able to say (Feat. Madonna) on their boxart shows just how much faith she had in Me Against The Music. I said before that Gimme More is the second most Danceable hit in Britney’s library, well here is the first. It’s her best dance video, and you can’t help but get up and let go. It was number 1 on this list for a very long time, and has been vying for second position against another track on In The Zone for a very long time. It’s crazy to think that after Me Against The Music, In The Zone was able to deliver a second single that was even better than one featuring the Queen of Pop. Toxic was the song that finally replaced Baby One More Time as her most iconic record, and is one of few Britney songs that everyone agrees is phenomenal. I can’t actually think of a single negative thing to say about Toxic, it’s the definition of the ‘Perfect’ Britney record. If so, then why is at number 2 in this chart. Number 1 has to be one of the big hits, doesn’t it? If you know me personally, then you already knew what my pick for number 1 was, Break The Ice is undoubtedly my favourite track from Britney’s career. The fact that she has never, ever performed it, the video was animated and the single underperformed doesn’t bother me; it’s the best track on one of my favourite albums. It takes risks, the fact that the bass drop out after her Janet style ‘I Like This Part’ doesn’t return at all and the subdued nature of proceedings just adds to the mystery around the song. The lyrics are hardly special, but the song is constructed effortlessly, with haunting chants from producer Danja and some of the best breathing ever heard on a Britney song. Break The Ice just takes over whenever I hear it, something all 4 of the top tracks do here. I lose myself when I hear Break The Ice, which is why it has to be number 1 on my list of the top 20 Britney Songs.